Maximum warmth with minimal bulk is generated by the gorgeously soft wool that is Merino. Out with the old itchy, heavy woollen jumpers of old and in with the modern Merino versions! Kate Moss is the creator behind Merino Me clothing. Kate has created an extensive collection using the finest New Zealand Merino wool available. 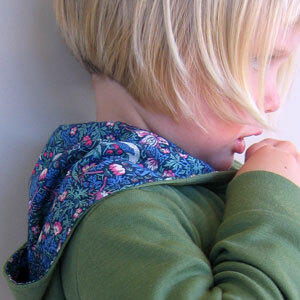 Merino Me children’s clothing is especially gorgeous – pieces are simple in design letting the gorgeous Merino jersey speak for itself with its gentle drape and gorgeous colour. The Fancy Tunic is perfect for layering over a long sleeve top, leggings and boots. 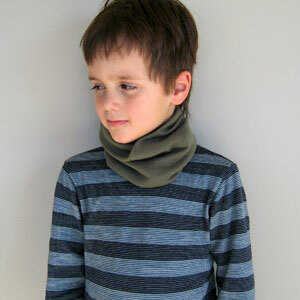 The Cowl Neck top is super cute – I love the soft roll of the neck and the colour combination is magnificent. The Cowl Scarf also gets my vote, a singular tube of super soft merino jersey, it’s without the safety issues of a regular scarf and a bonus is it can’t fall off and be lost! Nearly all garments are available in sizes one through to four. Kate will also take custom orders so contact her if you have something particular in mind! It’s worth mentioning too that Merino Me garments are colour fast – there’s no fading of colour regardless of the amount of times it’s washed and you’ll all be relieved to know merino wool can safely go in your washing machine! 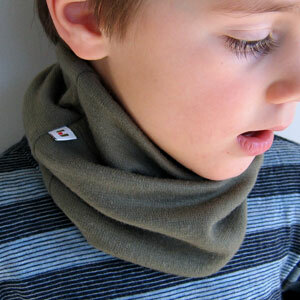 See the full range available at Merino Me with prices starting at US$24. Delivery to Australia is available at very reasonable rates.